Love is where the barrk is. 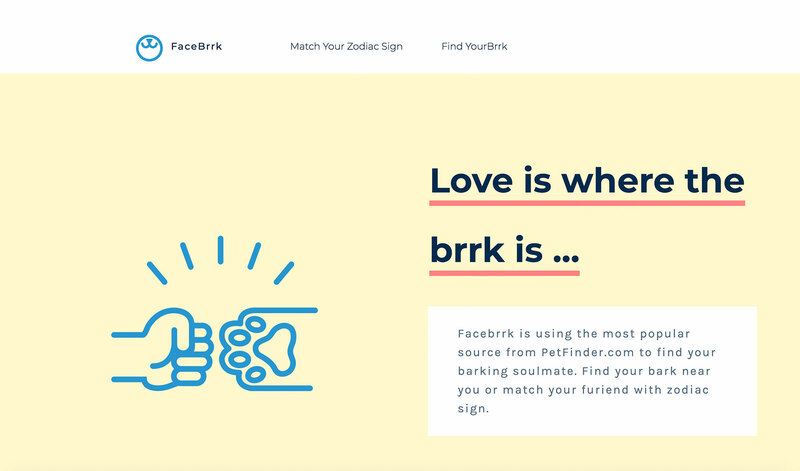 FaceBrrk is a popular app for matching your future dog with your zodiac sign. Facebrrk uses PetFinder.com API to retrieve information of adoptable dogs from shelters nationwide. Find your dream bark by breeds, zip code, gender or MATCH your zodiac sign.